The goals of service learning at Mount Tamalpais School are to introduce students to various ways of giving, to provide leadership opportunities within the classroom and/or school, to offer hands-on activities that have measurable impact, and to experience multiple touch points with our broader community. Our sixth-eighth grade students are expected to complete a set number of service learning hours each year as part of their middle school experience at MTS. 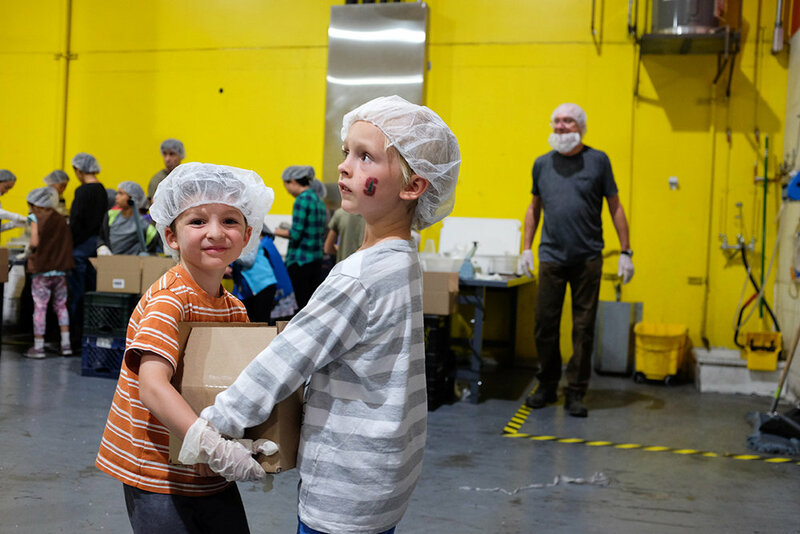 Throughout the year, the Service Learning Committee offers a community building service day per trimester on a weekend, such as the volunteering at the SF-Marin Food Bank, trail work, or beach clean-up. Kindergarten students perform random acts of kindness on campus, such as leaving notes for staff, faculty, their 5th and 8th grade Buddy Bears. First Grade students lead the charge to collect new pairs of socks for the (insert name) homeless shelter. Along with this #1 requested item, first grade students will include a homemade card with each pair of socks donated. 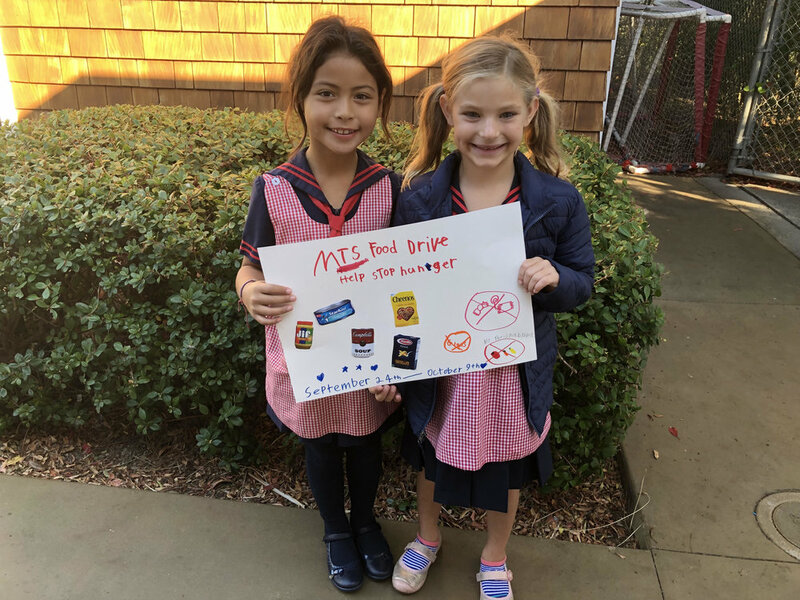 Second grade students will visit all homerooms on September 26 to discuss the food drive, deliver collection boxes, and lead a conversation about all students at MTS supporting our school-wide efforts. Third Grade students encourage all classmates at MTS to save and bring in all used markers for recycling and ship them directly to Crayola. Fourth Grade students collect gently used coats and write pocket notes so that each recipient finds a positive message with their donated coat. Fifth Grade students lead a pet supply drive, including making pet toys with a class field trip to the Marin Humane Society to deliver handmade toys. Sixth graders participate in a fall pen pal program, writing letters to the seniors at the Redwoods. Sixth graders plan and facilitate a party to meet their seniors at the Redwoods in April. Seventh graders collect halloween candy and encourage all MTS students to write holiday cards to the troops. Eighth graders will be planning their own day of service in June. During conference days at MTS, one of the activities we offer for students on campus is to participate in onsite service learning such as making sack lunches for clients of St. Vincent de Paul, making no-sew blankets for a local women’s shelter, crafting dog toys for the Marin Humane Society, and assembling troop care packages.